In today’s post we are giving you recipes to some really delicious smoothies. But let me start by congratulating all of our weight loss patients who are sticking to their weight loss plan and losing pounds and inches. I also have to thank you because it is a pleasure to come to the office every day and share in everyone’s success. 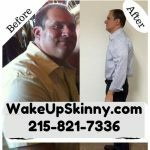 Now if this is your first time visiting our site, I invite you to call and schedule for free weight loss consultation. Just call us at 215-821-7336 and schedule your free consultation now. Combine everything in a high power blender, blend and enjoy. I hope you enjoy these recipes. If you have a juicer you can even juice the above recipes. For a blender you can add water and/or ice. If you or a friend need help losing weight I invite you to call us for a free weight loss consultation. Call us at 215-821-7336 and schedule your appointment now. This entry was posted in Diet Doctors in Bucks County, Diet Doctors in Philadelphia, Medical Weight Loss, Medical Weight Loss in Philadelphia PA, Medical Weight Loss Philadelphia, Philadelphia Weight Loss Doctor, Philadelphia Weight Loss Doctors, weight loss philadelphia and tagged "Philadelphia Diet Doctor", medical weight loss in philadelphia, Medical Weight Loss Philadelphia, philadelphia medical weight loss program, philadelphia weight loss center, weight loss doctor in philadelphia on June 8, 2018 by Dr. Michael Kenny.